A lease template is an outline that saves standard, pre-populated lease terms that typically stay the same for every lease. You will provide unique lease details such as dates, rent amount, and deposit amounts using the “Prepare Lease” option in your account once a tenant is approved. Rent Perfect has a standard lease template available to you. We also understand leases can be personal; each state has its own requirements, and every landlord manages their property differently. The Rent Perfect custom lease creator gives you the flexibility you need to create the Perfect lease template for your property. 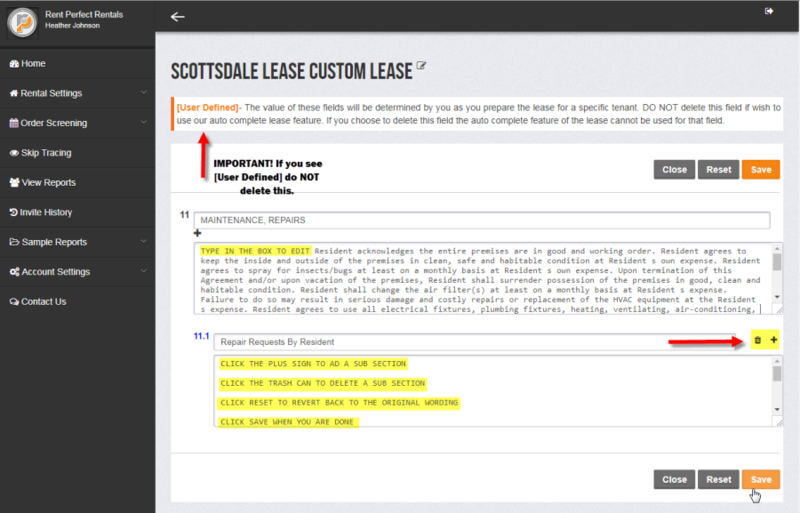 Edit the verbiage in each section of the standard lease template. Delete a section or add a section of your own. 1. On the home page scroll down and click on "Lease Templates"
2. Click, "View Standard Lease," to view a sample copy of the Rent Perfect standard lease template. 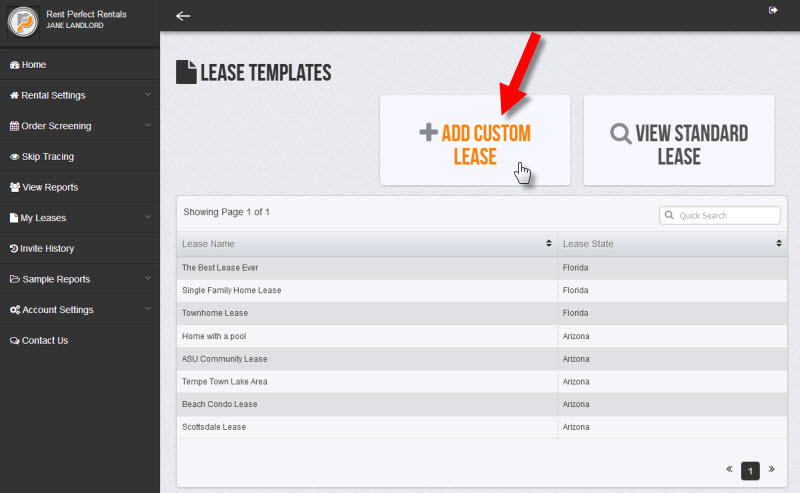 Click, "Add Custom Lease," to customize the standard lease template and make it your own. 3. First enter a lease name, select the state, and assign the lease template to a property address. This will let us know which property address is going to use this lease template. You can also assign the lease to a property address later on. 4. On the following screen you will see a list of sections in the Rent Perfect standard lease. Click on any title to view a section or make changes of your own. Click the trash can icon to delete a section, and click "Add New Section" to create a section of your own. 5. To edit text in any section simply click in the text box and enter the desired changes. Click the plus sign to add a sub sectiom or click the trash can icon to delete a sub section. Click "Reset" to revert back to the original standard text. When you are done click, "Save." IMPORTANT: Throughout the template you will see the programming code, [user defined].This code will be used to fill in the blanks with unique lease details you provide at the time you prepare lease documents for a tenant. Be careful to leave the programming code [user defined] in place; doing so will allow the system to fill in the blanks for you later as you prepare individual lease documents for your tenants. 6. 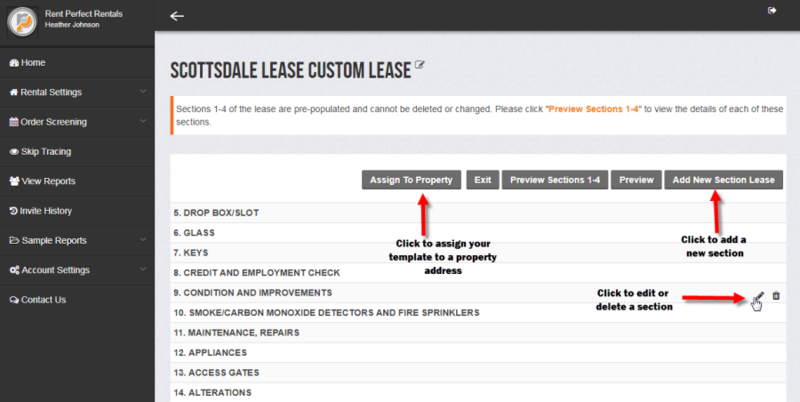 When you are finished creating your custom lease template it will be stored in your account. You can view or edit your template at any time. 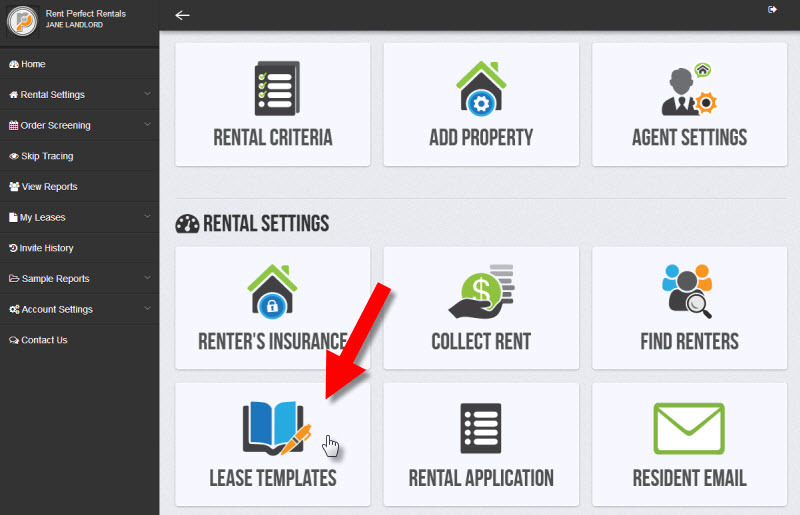 When you are ready to prepare a lease for a tenant simply click, "Prepare Lease," on the home screen of your account. At that time you will provide unique details such as lease dates, rent amount, and deposit amount. The Rent Perfect system will use the information you provide to fill in the blanks of your lease template and generate the Perfect lease to view and sign online. click here for instructions for adding a Rental Property Address into your account. click here for instructions for preparing a lease for a tenant.